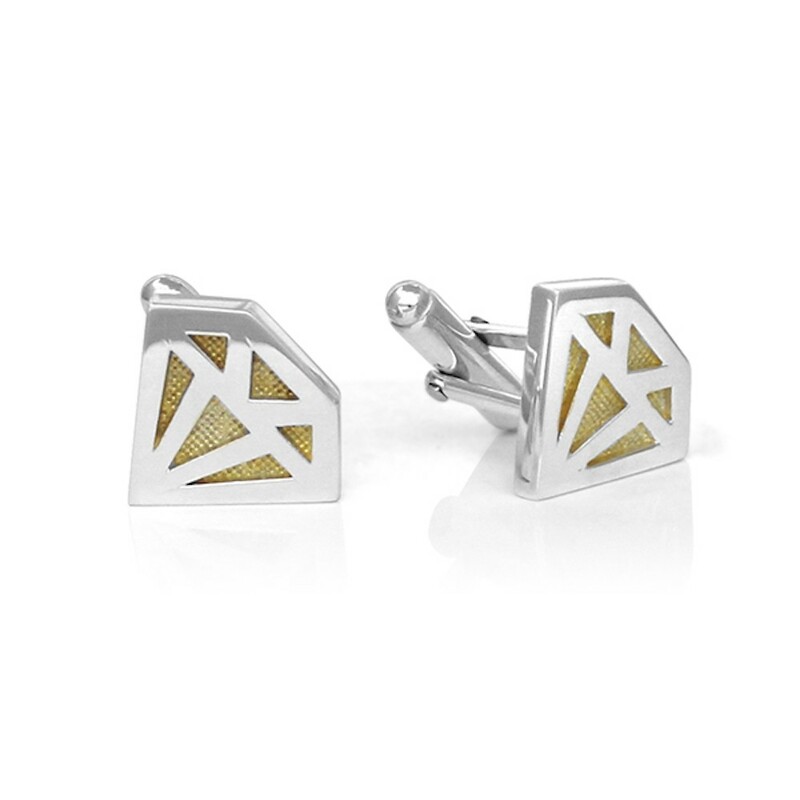 For the dapper person who is a gem in your life. These sterling silver cufflinks are bold with clean lines and elegant styling. 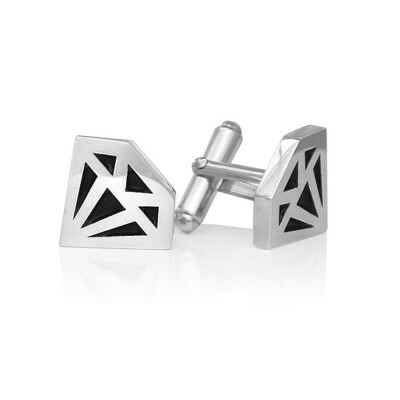 The diamond graphic shape measures approximately 20 mm across. If you'd like to customize yours in a different colour, or customize them in some way, please contact us using the contact form and we'll get back to you asap.